I first became aware of the line 'We are the music makers, we are the dreamers of dreams' when it was quoted on the cover of Sasha and John Digweed's Renaissance mix in 1994; it seemed to chime with the epic grandiosity of the album, embodied in its cover design and 3 CDs worth of finely mixed Italian and UK progressive house. 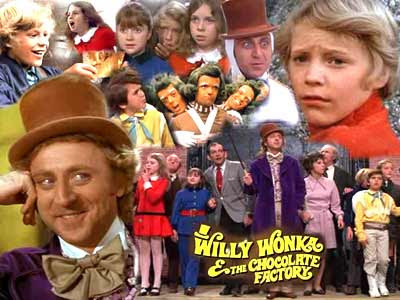 The words are also uttered by Gene Wilder in the film Willie Wonka and the Chocolate Factory (not sure if they are in Roald Dahl's original novel, Charlie and the Chocolate Factory). This line has been sampled by Aphex Twin and 808 State among others. The source of the line though is a poem by a short lived Victorian London-Irish poet, Arthur O'Shaughnessy (1844 – 1881). I didn't get round to reading it in full until this week when I picked up an anthology including it on Deptford market (Palgrave's Golden Treasury of the Best Songs and Lyrical Poems in English Language, 1928 editon). The poem presents a romantic image of music makers and poets as marginal figures ('world-losers'), but whose visionary creations prefigure and maybe even cause great social change. 'We, in the ages lying, In the buried past of the earth, Built Nineveh with our sighing, And Babel itself in our mirth; And o'erthrew them with prophesying, To the old of the new world's worth'. In this sense, music is powerful: 'One man with a dream, at pleasure, Shall go forth and conquer a crown; And three with a new song's measure, Can trample a kingdom down'. I know it's fanciful, but this can almost be read as a prophecy of what has actually come to pass with the impact of music made by people of African descent in the US, Caribbean, UK and elsewhere. Inspiration on a Wednesday afternoon. Thanks. This was a great read...thank you.